The WS-260 Wireless Router and Access Point System includes everything you need for a high-tech, cost-effective multi-AP network. 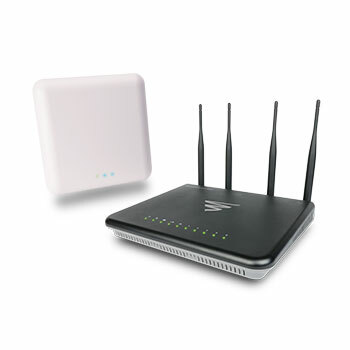 The system includes one Epic 3 Dual-Band Wireless AC3100 Gigabit Router and one XAP-1610 Apex™ Wave 2 AC3100 Access Point. Both included products are built with Wave 2 technology, which offers support for more connected devices and increased data rates. The Epic 3 Router includes a built-in wireless controller with Luxul’s exclusive Roam Assist™ capability and has built-in Domotz remote management software. The XAP-1610 Apex™ Access Point is simple to install and implements dual-band beamforming technology for maximizing wireless performance in both resi and commercial environments. The Luxul WS-260 comes with (1) Epic 3 Router, (1) XAP-1610, and (1) PoE injector.